Looking for ways to capitalize on email marketing in the auto repair industry? Look no further! Benchmark Email's comprehensive guide to Email Marketing for Auto Repair Businesses speaks to shops large and small, sharing how added attention to online promotions can truly help your business boom. Learn more about how to land return clients and keep the attention of current ones while improving sales and maintenance returns as well as retail operations. Bring your business promotion beyond newspapers and the Yellow Pages into the twenty-first century with our one-stop marketing shop: Start your engines and get revved up for our free email marketing white paper on the Auto Repair Industry! Recent years of economic struggle have compelled motorists to repair their old cars instead of going out and buying a new model. This manual is for the auto repair business owners benefiting from the sudden surge in potential clientele. We're here to give you a luxury limousine experience at compact economy prices. Our dedication to email service provision, online marketing, branding and social integration serves to educate our users, providing them with the most up to date and valuable information and to ultimately explore marketing best practices in a detailed yet comprehensible way. 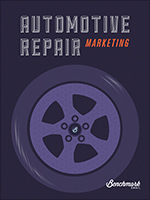 Email Marketing for the Auto Repair Industry is a free, fully researched PDF on email best practices. We hope you will take the time to download this guide or read it directly from our website. For more guides and manuals, check out our email marketing manual page.